Alta ski resort in Utah has long been referred to as the locals favorite so I asked a local riding up the chairlift if he skis anywhere besides Alta. “If I do, I feel like I’m cheating on my wife.” He said. 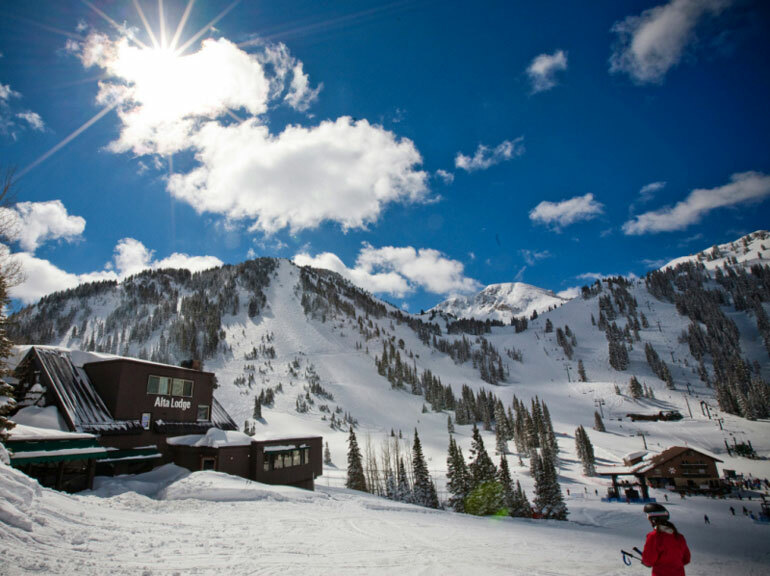 Most would argue, there’s not a bad place to ski in Utah and certainly Alta is the choice for many. It’s old school skiing at its best and holds out as one of the few resorts in the country that doesn’t allow snowboarding. I kept quiet that I do both. Barring snowboarders isn’t the only reason locals love it. “The greatest snow on earth” is the moniker on Utah license plates. Rightfully so. It’s something about the desert air mixing with altitude that produces talcum powder-like snow conditions. It isn’t the Sierra cement we get in my home state of California. 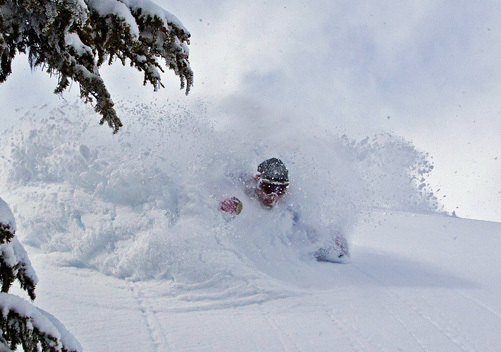 Powder so deep you practically need a snorkel to breathe. And there’s something about where Alta is positioned in Little Cottonwood Canyon. People joke that the powder gets so deep there you need a snorkel to breathe. Those a bit timid of steep and deep powder can find groomed trails at Alta. 80% of visitors there are repeat guests and it’s easy to see why. 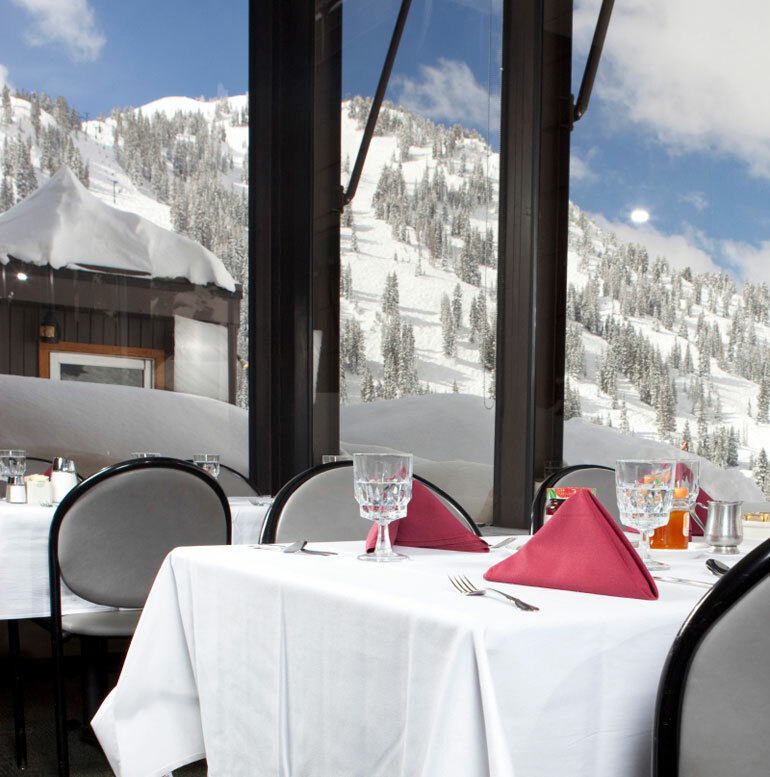 There’s nothing pretentious about Alta Lodge. It doesn’t try too hard because it doesn’t have to. There are no TVs in the rooms which encourages guests to mingle and interact. You will find some subtle frills like Aveda bath products in the bathroom. It’s got hot water, it’s clean. Ski in ski out. Food is decent to good. And I concur, it is the best snow on earth. What more do you want? Because they don’t over groom the area, it produces some of the best moguls of anywhere I’ve ever skied. I jumped at the chance to take one of the renowned mogul workshops. Having spent more time in recent years on a snowboard, I’d practically forgotten how to ski them. An hour into the class, thighs on fire, I remembered how much fun they be. The Alf Engen ski school is world-class. And while the guy I talked to on the lift may think of Alta as a man’s place to ski, it has lots to offer women. 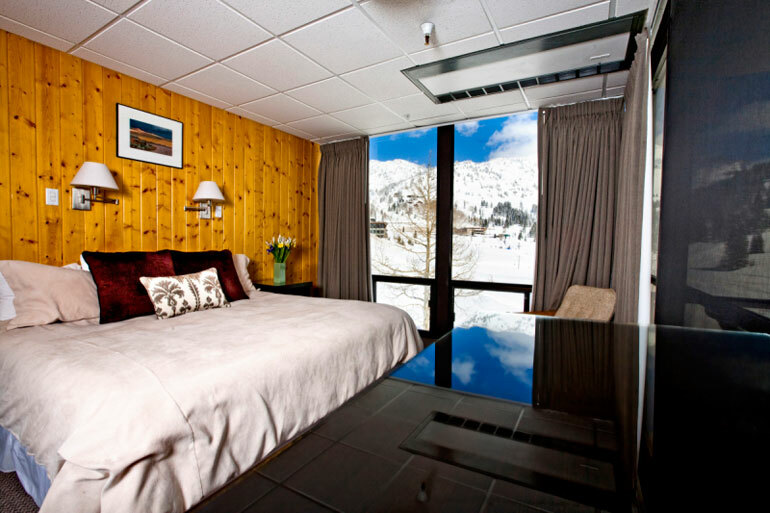 The ski area’s website lists lots of ski camps specially designed for women. Even if you’ve skied as long as I have there’s always room for improvement. Nothing makes for a great ski trip than feeling like you’ve improved your technique. What I learned too is you don’t have to be a local to make Alta your favorite ski spot too. This story originally was published on divinecaroline.com. I’ve since returned with my son in tow and will be adding a new story here at globetrotter.com soon!